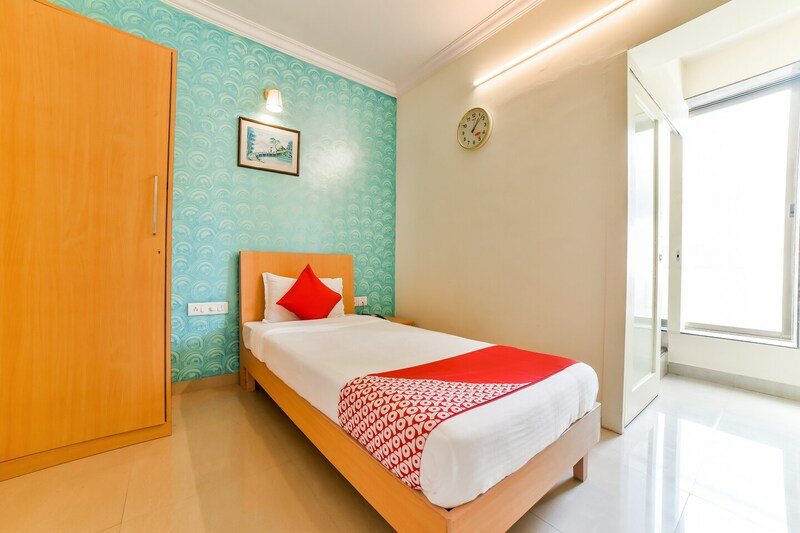 OYO 12993 Pramila Court is ideally located in the heart of Goa. A perfect choice for the business and leisure travellers, the hotel offers quality comfort at unbelievable prices. For any kind of assistance you need in relation to your stay, our skilled and friendly staff is just a call away. From regular to exceptional, you will find all the amenities such as Dining Area, Complimentary Breakfast, In-house Restaurant in your room ensuring you have a pleasant stay. Wander around the city visiting its top attraction like Maruti Temple, Shri Marutirai Sansthan and Goa Museum. Come back to rest your head in OYOs peaceful environment. In case you run out of cash midst your shopping spree, visit State Bank of India ATM, Corporation Bank ATM and HDFC Bank Branch / ATM located nearby.